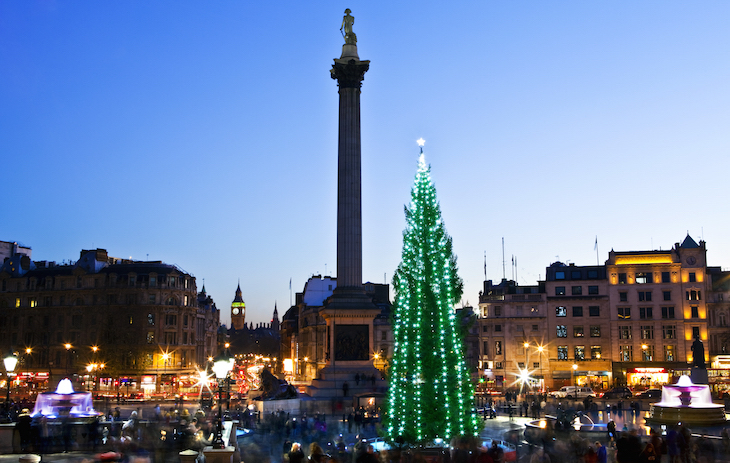 The date for the lighting of this year's Christmas tree in Trafalgar Square has been announced. 6 December is the date to put in your diary if you want to gather in the square and see the lights switched on. A tree is sent from Norway every year as a gift from the country, to express gratitude for the support Britain offered during the second world war. The tree will be lit by the Mayor of Westminster, Norwegian Ambassador and governing Mayor of Oslo. Along with the lighting, there'll be carol singing by The Salvation Army and the St Martin-in-the-Fields choir, and poetry by local school children. In recent years, the decoration of the tree has come under scrutiny, with people describing it as a "gherkin draped in lights" and a "cucumber". It's not yet been revealed whether the same lights will be used to decorate it for Christmas 2018. If you can't wait until 6 December, follow @trafalgartree on Twitter — it's the tree's official Twitter account, and usually live tweets its journey from the forests of Norway to the centre of London. 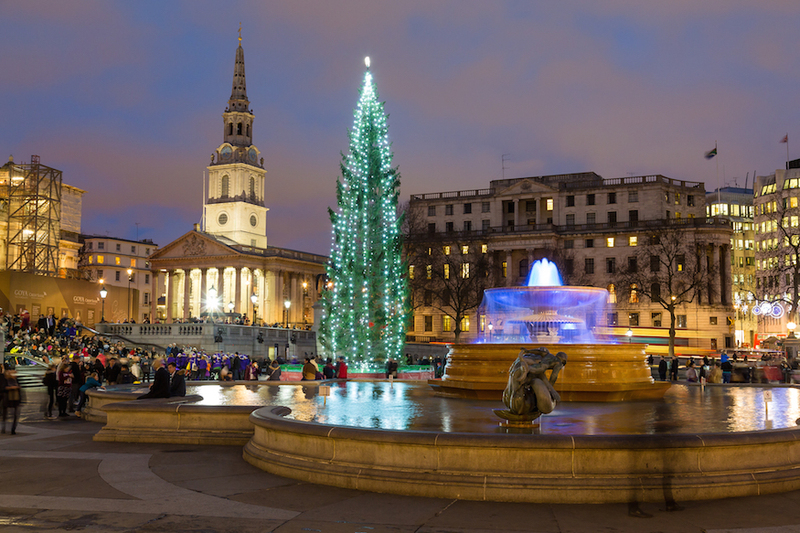 Trafalgar Square Christmas tree lighting ceremony 2018, Thursday 6 December from 6pm. Free, no ticket required, but get there early as it'll be very busy. Find out when the rest of London's 2018 Christmas lights are switched on, and take a look at other festive things to do in the capital.